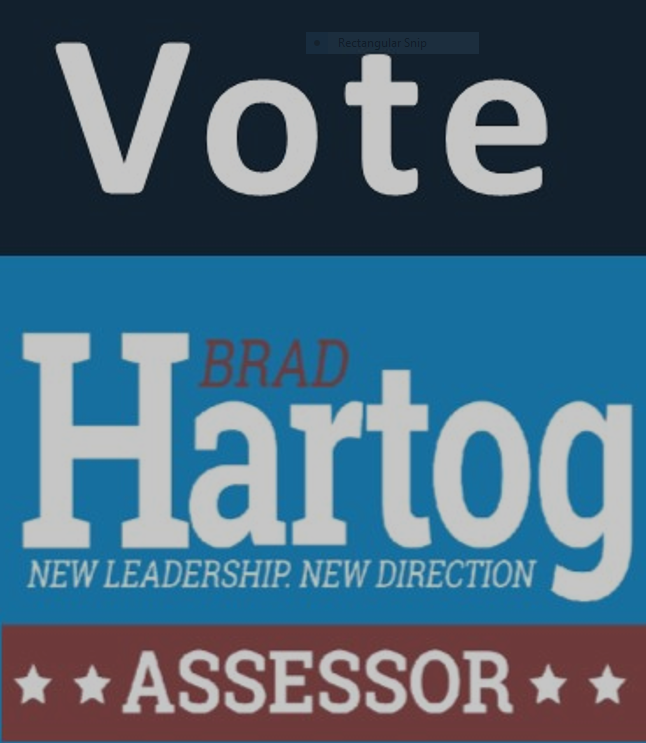 Vote for Hartog for Freeport Assessor – Experience That Counts! I am tired of seeing ads and letters promoting a present employee of the Freeport Assessor’s Office, and referring to this person’s experience in that office. The present Assessor’s policies have single handedly contributed to the poor economic climate and lack of growth in the City of Freeport. Why build a new house or start a new business by building in Freeport when you know you will have to fight every year with the Freeport Assessor about unreasonable assessments placed on your property. For many of us the damage is already done. It is too late. Many have left Freeport due to the unreasonable assessments coupled with the high tax rates. A vote for Meta Ridgeway is a vote to continue the City of Freeport down a path of economic ruin. The present Freeport Assessor’s Office must be cleaned out which means new employees and new attitudes. The citizens of Freeport only want fairness in the assessment process, and this will only happen if Brad Hartog is elected Freeport Assessor. This entry was posted in City of Freeport on February 16, 2017 by Good Day Illinois.